Packaging: Bag of 5 seeds. 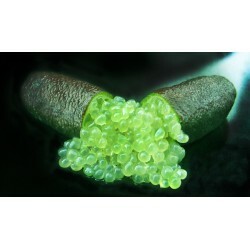 Lemon caviar plants are also available. 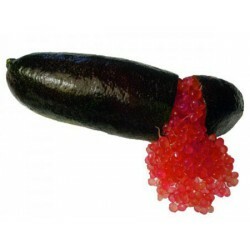 Do you push in this species highly sought after by leading chefs! 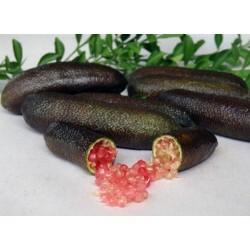 Lemon shaped like a big finger with a meat-like caviar, several colors possible. 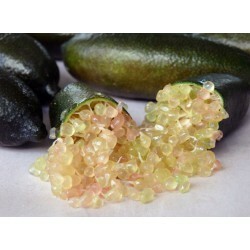 All largest restaurant are looking for this lemon so rare and so good! Grow it! 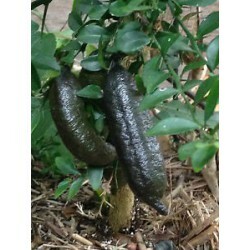 Plant native to northern Australia, its fruit is cylinder shaped, elongated greenish yellow bark. 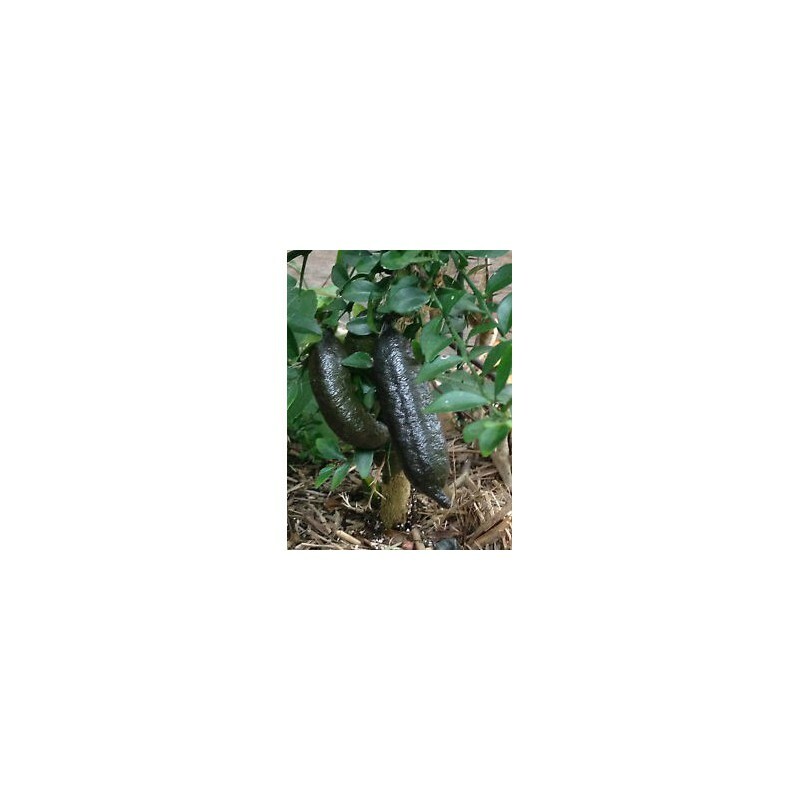 It is a vigorous plant rather resistant to cold and drought. 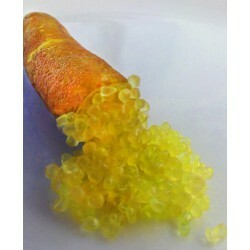 - Common name: lemon caviar, lemon finger Finger Lime. 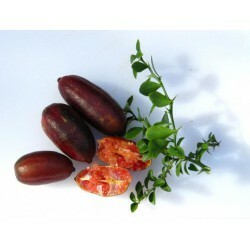 - Description: Pretty thorny bush native to the undergrowth of the forests of eastern Australia. This Rutaceae can reach 6 / 8m in the ground. 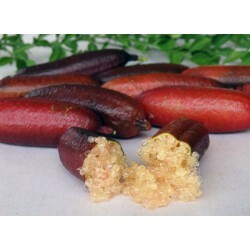 Its fruit is cylindrical (4-8 cm long), the leaves are small. 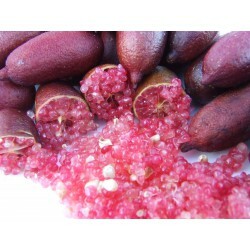 Fruit color varies green, yellow, orange, red, purple, black or brown, although from the same species (70 varieties). 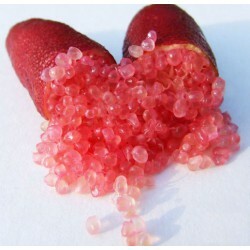 He is best known for its fruit composed of small vesicles (like caviar) that can be used as a garnish or added as a condiment to many good meals! 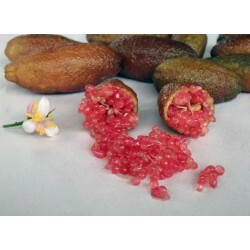 They have a lemon with a little tartness of grapefruit peel. 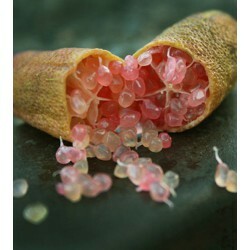 When you bite into one, the blisters break under the tongue, it is an amazing and unique flavor. 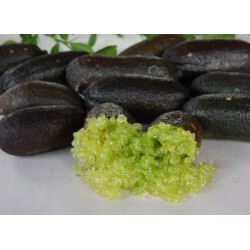 Zest and very fragrant leaves are also used to flavor dishes and even prepare delicious drinks. Ask our best cooks, they love them all! - Place of culture: unheated conservatory or cold greenhouse (about 3 ° C). Culture few times as possible in the ground in warmer regions (French Riviera or Atlantic coast for example). Culture outside possible during the summer season. - Minimum storage temperature: -5 ° C.
- Substrate Example use: 33% of garden soil, 33% horticultural compost, 33% coarse sand. - Watering during the winter season: moist Soil: watering when the soil is dry about 1 cm surface. 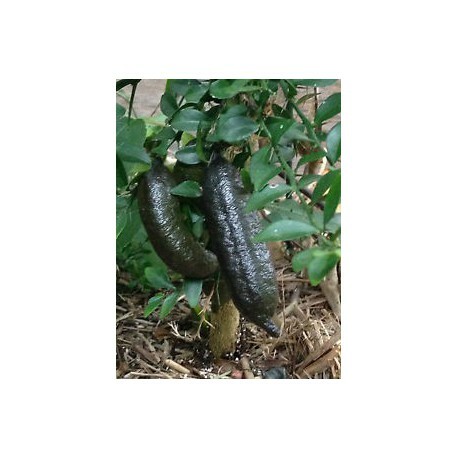 - Watering during the summer season: Sol wet: water so that the substrate is still damp. Sowing the seeds in a well-drained soil for germination under mini greenhouse to maintain a minimum temperature of 25 ° C.
Keep moist but not soggy. The lifting usually occurs between 15 and 45 days.